Legal separation is a marital status that falls somewhere in between marriage and divorce. It serves the needs of couples who wish to separate but elect not to divorce for moral or other reasons. Legally separated spouses formally divide their assets and debts, then live apart and maintain separate finances. In some states, a court adjudicates and grants a legal separation; in other states, a legal separation agreement is enforced as a contract negotiated between the spouses. List the real and personal property belonging to you and your spouse. Include bank accounts, stocks and bonds, and retirement accounts. Make a separate list of your debts and expenses. Show the lists to your spouse, asking for input, until you are both confident that your lists are complete. Describe your sources of income in writing. Using this information, negotiate an equitable division of property and debt. Negotiate child custody, visitation and support issues. If you are not able to come to an agreement on these matters, consult an attorney to evaluate your options. Obtain prototype separation agreements from your state court system or from an established, online legal-document provider. Use the prototypes as models for drafting your own legal separation agreement. Write an appropriate heading for your agreement, such as "Legal Separation Agreement." Draft a first paragraph providing preliminary information about you and your spouse as parties to the agreement. Include your names, current addresses, date and place of marriage, and date of separation. Draft subsequent sections describing your income, assets and liabilities; use the lists you and your spouse have drawn up to be sure these sections are complete. Describe the property division you've agreed upon. Clearly identify who takes title to each asset and who assumes each debt. Be as specific as possible in the terms of the agreement to avoid misunderstandings in the future. Add a section about your minor children, if any. Identify the children by name and date of birth. Outline your legal and physical custody arrangement for each child, the visitation rights for the noncustodial spouse and the amount of child support to be paid. Describe your agreement about insurance coverage. State who is to provide each family member's coverage, who will pay for the coverage, and who will pay health care expenses not covered by insurance such as dental, optical, medication and mental-health care costs. State whether either party must maintain life insurance for the other, and if so, the amount of the policy. Include a section about spousal support. Either state that no spousal support will be paid by either spouse, or describe the amount of spousal support to be paid and identify the spouse to pay it. State the length of time that the spousal support continues. Draft a section affirming that each spouse has made "full disclosure" to the other about income, assets and liabilities. If your state court system provides a prototype separation agreement that includes a paragraph on disclosure, incorporate it in your agreement. This protects both spouses from the risks of nondisclosure. Put signature spaces for you and your spouse at the end of the agreement. Include a space to write the date of each signature. Leave space for witness signatures, if desired or required in your state, and a notary signature and seal. 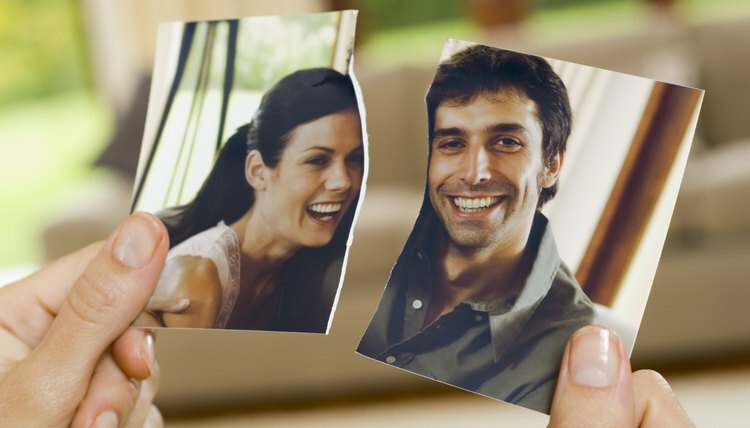 If you and your spouse are drafting a separation agreement in anticipation of divorce or just living apart, it's usually better to say too much than too little. These documents – also called marital settlement agreements or property settlement agreements in some states – can be unique to your personal concerns, so the more detail the better. When you decide to proceed with a divorce, having a signed agreement makes your divorce uncontested. If you've covered everything, there's nothing left for the court to do but approve it and grant your divorce. A judge will usually do so unless he thinks it's unfair to you, your spouse or your children. In the state of Washington, you may file for legal separation from your spouse if you want to live separate and apart but not divorce. Filing for a legal separation makes the separation official, as opposed to one spouse simply moving to a different residence. Washington law does not require a period of legal separation for a divorce and doesn't set a residency requirement for a specified length of time. You only need to be a resident of Washington on the day you file the petition for legal separation and may file in the Superior Court of any county in the state. If you’re planning to marry and you’ve decided that a prenuptial agreement is right for you, you might be tempted to hire an attorney to draft it or to purchase a kit. However, it may not be necessary. Some states require that you and your intended spouse each have an attorney review your premarital contract, and that's always a good idea. But a prenup is your own personal document. Within reason and as long as it’s fair, it can include anything you want it to and you can draft it yourself.